More than a decade ago, before the whole hullaballoo on how to market a dating app, it was common belief that online dating was for losers. They said that only the loneliest would ever consider such an option. Only a handful of people were optimistic about the concept. They hoped the trend would pick up with time. But never, in their wildest dreams, did they think that it would only take a couple of years. This was back in 2004 when Nokia was the in-thing, and the internet was hosting less than a billion users. Certainly a small number when you review it retrospectively, but it was a heck of a big deal then. So, of course, it makes complete sense why three Harvard students thought of launching OkCupid, an internet dating site. However, even with a billion souls wandering around the internet and very little competition, OkCupid struggled at the beginning. Ok, at least the community around it, including Harvard students, loved the concept. But the internet was simply not buying into the whole idea of online dating. Now, fast forward to 2011. And boom! OkCupid had grown quite exponentially. So much so that it became one of the most sensational platforms on the internet. By 2012, the site had over 10 million members, with about 1 million users every month. Quite impressive going by the internet standards then. Even Google noticed how people were progressively responding to online dating. And OkCupid was among the biggest drivers, which saw it rise to become the third most searched dating website in 2012. That marked the turning point for online dating. Things have picked up substantially since. But, unfortunately, not so well for OkCupid. Now, don’t get me wrong. OkCupid’s decline was not triggered by a drop in online dating levels. Not at all. The company, as a matter of fact, faced a myriad of challenges. However, all things considered, one of their biggest blunders was failing to respond well to the progressive shift to mobile. People were still interested in online dating. But they didn’t do it over PC anymore. They preferred using their smartphones. In fact, 2012 was the year smartphone uptake in the US ultimately hit and surpassed 50%. Now, get this. As OkCupid started declining in 2012, a new giant was born. One that well-optimized for mobile, and knew exactly how to market a dating app. Yes, you’re right. I’m talking about Tinder. And by 2018, persistent and strategic marketing had helped it cannibalize on OkCupid to attract 5 times the number of users OkCupid previously had at its peak. Let’s be honest. We’ve seen many promising companies fall out due to a wide range of difficulties. OkCupid’s case, however, when you come to think of it, is exceptionally peculiar. Well, this is a platform that was able to rise from the ashes at a time when online dating was a completely strange phenomenon. Yet somehow, it has been unable to reclaim its glory despite the phenomenal size of the current dating app market. Today, only 54% of adults in the U.S claim that they’ve never tried out dating apps and websites. 27% have sampled them in the past, while a solid 19% currently use them. Well, apart from reduced phone battery life, this saw 19% of the brides in 2017 meet their partners online. That’s according to a study conducted by The Knot, which further revealed that online dating eventually became the most common meeting method for newlyweds in 2017. The trend is pretty much the same when we cross over to other to other areas. In London, for instance, average relationship success is now tilted in favor of online dating, as opposed to meeting offline. A viral PhD paper titled Why I Don’t Have a Girlfriend argued that you’re most likely bump into an alien than meet your one true love on a night out in the city. Statistically, the chances of eventually discovering intelligent life in the universe are 500 times higher than the latter happening. Well, not so funny for OkCupid. Despite these promising numbers and overall positivity among prospects, nothing is seemingly working for them. And it all has to do with mobile optimization and marketing. Tinder came onto the scene with pretty much the same online dating framework as OkCupid. But it had perfected what OkCupid couldn’t- building a great smartphone app, plus leveraging effective tricks to market a dating app. So, the choice is yours. Either you go the OkCupid way and let your competitors trample on your app’s potential, or take the fight to them like Tinder by marketing your dating app the right way. Well, here are 10 ways you can market a dating app. For starters, the success of your dating app will be assessed according to the number of users, which will be directly proportional to the corresponding ROI. And, of course, the signup rate depends on how far word about the app reaches. Now, that’s no easy task. But, you could jump the line and take a shortcut by reaching out to the very people who know how to pass a word around- the media. With an app press release, even as part of your prelaunch app marketing, you’ll be able to capitalize on an extensive audience of prospects. And speaking of skipping lines, you don’t have to wait until your app is published on the App Store to get user feedback. I admit family and friends is a great place to start. But let’s face it. Their experience, more often than not, is usually clouded by personal relationships. Plus, the weight of the subsequent feedback would be negligible considering the number of users you’ll be targeting. The best way to approach this is by supplementing that with popular app review platforms ahead of the app launch. Distributing your dating app to their followers would not only be crucial to the feedback review, but also grant you the chance to market the app to a much wider audience. Of course, the whole point of creating a dating app is generating revenue. And spending money beyond development is not something you might want hear right now. But here’s the thing. While organic app marketing will get you a solid following, paid app promotion is also effective at getting those numbers rolling. And there are multiple options here. Google AdMob and Facebook advertising are two popular examples. 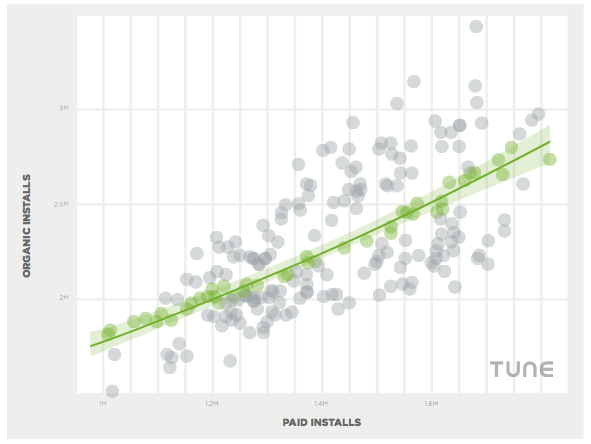 You could also consider paid app installs, which, as a matter of fact, could trigger 150% more organic downloads. As of 2016, the average Apple user in the U.S alone was spending about 33 minutes per month scrolling through the App Store. Now that’s a heck lot of time to not get noticed. But, since the App Store hosts more than 2 million apps, you can’t rely on users to find their way around. You’ll have to get the App Store search algorithm to direct them to your app by implementing App Store Optimization. This is a strategic system of tactfully enhancing elements that are relevant to app search ranking. I’m talking about keywords, app demo video, screenshots, app description, and more. Don’t get too obsessed about the App Store search algorithm that you forget all about the ultimate search engine on the internet- Google. This is where SEO fundamentally comes into play. And to get noticed by Google, you’ll have to capitalize on, among other strategies, content marketing- blog posts, videos and images on multiple platforms. Well, since everyone is posting content these days, only a few exceptional pieces are capable of generating organic interest, and subsequently, rally a decent following. That’s why you’ll also need to wear your creativity hat. Online dating apps come with a pretty simple and straightforward operation framework. They all essentially involve signing up, editing profile, sampling other profiles, interacting with selected individuals and possibly meeting with some. In a nutshell, it’s the same system in different apps. But somehow, a couple of platforms are retaining more users than others. Well, the secret is the user experience. This is what ties everything together- every single aspect of app development and subsequent management. A poor user experience could lose you 80% of the users as soon as they install the app and sign up. So, to prevent this, consider gamifying the dating interface with simple but creative elements like tap-to-like, shake-to-refresh-feed, emoji-texting, etc. You could market a dating app blindly then wait for users to somehow make connections with each other. Or you could use a calculative marketing approach by extracting data and transforming it into usable content. Data on personal attributes like gender, height, weight, attractiveness, race, age can be captured and systematically leveraged for target marketing. That’s basically how Tinder manages to assess various profiles, then combine them with geolocation data to reach out to other singles that might be suitable candidates for pairing. Because of the social qualities of dating apps, you might feel like you’re competing against social media sites like Facebook, Instagram, Snapchat, Twitter, etc. Especially now that Facebook is thinking of moving into this promising turf. Well, you could be right to some extent. But, instead of locking out the social media sites, take a step back and think this through. By taking advantage of their APIs to embed social networking features, you’ll be able to leverage social media sites to improve connections and boost your user base. There’s this group of social media users who always get truckloads of likes and comments on their social media updates, even when they only sneeze. It was all fun and games until marketers realized they could effectively capitalize on their influence. As a result, influencer marketing is now generating 11 times higher ROI compared to traditional approaches to digital marketing. If you doubt it, imagine the number of users your app would gain if PewDiePie, for instance, broadcasted a live date on it. So join the bandwagon now before it becomes costlier in the next couple of years. You’re not the only one who’d like to see your dating app growing. As odd as it sounds, Apple is also very much interested in facilitating its success. Not because it’s looking forward to dating Android, of course, but mostly due to the fact that Apple is also a beneficiary of the overall app revenue. To help you with this, they are open to featuring the dating app on the App Store, as long as it excellently meets the criteria. Being featured as the “App of The Day”, for example, bumps up downloads by 1747% on average. Talk to us, and we’ll help you get yours on that chart. Picture this. You post a funny and witty video of your dating app before going to bed. Then you wake up in the morning to be greeted by more half a million shares and ten times as many views. By the time you prepare your morning coffee, they’ve almost doubled up, and the corresponding notifications are surprisingly even eating up into your phone battery. In short, that’s the power of a viral app video. Just look at the number of views (in millions) selected videos have been able to acquire in 24 hours only. As you’ve probably figured out by now, they don’t come easily. There’s a certain amount of professional finesse required to create a video that has the capability of eliciting widespread organic interest. OkCupid’s decline was not triggered by a drop in online dating levels. Not at all. The company, as a matter of fact, faced a myriad of challenges. However, all things considered, one of their biggest blunders was failing to respond well to the progressive shift to mobile. App review platforms would not only be crucial to the feedback review, but also grant you the chance to market the app to a much wider audience. While organic app marketing will get you a solid following, paid app promotion is also effective at getting those numbers rolling. Since the App Store hosts more than 2 million apps, you can’t rely on users to find their way around. You’ll have to get the App Store search algorithm to direct them to your app by implementing App Store Optimization. To get noticed by Google, you’ll have to capitalize on, among other strategies, content marketing- blog posts, videos and images on multiple platforms. A poor user experience could lose you 80% of the users as soon as they install the app and sign up. So, to prevent this, consider gamifying the dating interface with simple but creative elements. Data on personal attributes like gender, height, weight, attractiveness, race, age can be captured and systematically leveraged for target marketing. By taking advantage of their APIs to embed social networking features, you’ll be able to leverage social media sites to improve connections and boost your user base. Influencer marketing is now generating 11 times higher ROI compared to traditional approaches to digital marketing. Apple is open to featuring the dating app on the App Store, as long as it excellently meets the criteria. Being featured as the “App of The Day”, for example, bumps up downloads by 1747% on average. There’s a certain amount of professional finesse required to create a viral app video that has the capability of eliciting widespread organic interest. Finally, you’ll need a tie all these systematically to form one solid strategy to market your dating app. And we’ll be glad to show you how. Our app marketing services have boosted over 3,000 App Store apps, including dating platforms- with some of them consequently generating up to ten times their standard downloads.